TaylorMade is proud to partner with over 200 TaylorMade Authorized Retailers at Public Golf Courses, Private Golf Clubs, and Golf Retailers across Canada to provide a network of Select-Fit Carts for players of all abilities to tune in the right spec for their game. We have two levels of Select-Fit Carts to accommodate your needs. 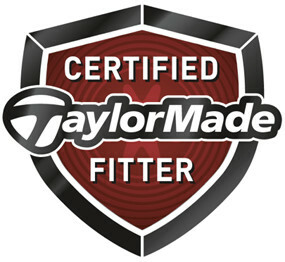 With an industry professional that has undertaken and completed our TaylorMade Certified Fitter Training & Certification Program on-site, our Select-Fit Premier Cart locations feature a great selection of Wood and Iron components to test, and are found at TaylorMade’s Top 75 Custom Fitting Facilities across Canada. Our Select-Fit Certified Carts are a great option to test and be fit for Irons, and are found at over 200 facilities across the country.